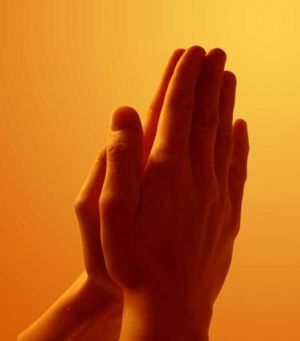 In Christianity and many other religions, prayer is the process of directly connecting to God, usually for the purpose of deliberate communication. Prayer is immensely helpful in many ways. It can help overcome addiction, such as video game usage, gambling, and football-watching, and it provides comfort in times of trouble. It is a way to reach out for forgiveness, and develop the ability to forgive. It also is a way to request God's help or provision. Prayer is a powerful way to defeat anxiety. Through prayer our thoughts and hopes are heard and understood. Oftentimes, prayer will result in feeling God's presence or feeling like one is touched by God. This feeling of a connection is cited by many theists as proof of God's existence. It is through prayer that man can understand God's will in his life and ask God for the courage and strength to carry his message to the world. Prayer is common throughout the Bible in both the Old Testament and the New Testament. 11 2 Peter 2:15: "after my departure"
11.6 Reformation teaching: restricting the meaning of "pray"
The Christian apologist Gary Habermas wrote: "Double-blind prayer experiments: where people pray for others with terminal illness. Habermas admitted that most such experiments have not worked, but the three that he knows of that have indeed worked were cases of orthodox-Christians praying for the sick." "Our Father who art in heaven, hallowed by thy name, thy kingdom come, they will be done on earth as it is in heaven. Give us today our daily bread, forgive us our trespasses, as we forgive those who trespass against us. Lead us not into temptation, but deliver us from evil, for thine is the kingdom, the power, and the glory, forever, Amen." One way that is a great way to pray when you are praying privately (i.e. talking to God as though he is a close friend)is to just thank Him, thank Him for creating you, the world you live on, the stars, the sun, the galaxy, and everything else. We rarely thank him, but more so we usually ask for help, but it is good to thank him whenever you can. There are many instances in the Bible of praying in private and also of praying within a group, and sometimes even of praying in public. "But Jesus often withdrew to lonely places and prayed." "But when you pray, go into your room, close the door and pray to your Father, who is unseen. Then your Father, who sees what is done in secret, will reward you." Even though he was with his disciples, Jesus also went off alone to pray on the Mount of Olives when he was about to be seized and crucified. Solomon prayed publicly in dedicating the temple (1_Kings 8:22-61 ). Daniel prayed alone in his room, but by an open window where he could be seen (Daniel 6:10-11 ). Jesus sometimes prayed with his disciples (Luke 9:18 ). The Church prayed for Peter's miraculous release from prison (Acts 12:5 ). Jesus prayed in public, such as in Matthew 19:13-15 when Jesus prayed for the children brought to him. Other religions, and even different traditions within Christianity have developed their own practices related to prayer. Modern societies often oppose and discourage public prayer. For example, in the United States, government schools forbid classroom prayer. Nearly six-in-ten adults in the U.S. say they pray at least once a day. enlighten the darkness of our minds. act according to Your Holy Will. Amen. Prayer honors God, acknowledges His being, exalts His power, adores His providence, secures His aid. By prayer, the ability is secured to feel the law of love, to speak according to the law of love, and to do everything in harmony with the law of love. Praying which does not result in pure conduct is a delusion. We have missed the whole office and virtue of praying if it does not rectify conduct. It is in the very nature of things that we must quit praying, or quit bad conduct. Natural ability and educational advantages do not figure as factors in this matter of prayer; but a capacity for faith, the power of a thorough consecration, the ability of self-littleness, an absolute losing of one's self in God's glory and an ever-present and insatiable yearning and seeking after all the fullness of God. The goal of prayer is the ear of God, a goal that can only be reached by patient and continued and continuous waiting upon Him, pouring out our heart to Him and permitting Him to speak to us. Only by so doing can we expect to know Him, and as we come to know Him better we shall spend more time in His presence and find that presence a constant and ever-increasing delight. Importunity is a condition of prayer. We are to press the matter, not with vain repetitions, but with urgent repetitions. We repeat, not to count the times, but to gain the prayer. We cannot quit praying because heart and soul are in it. We pray "with all perseverance." We hang to our prayers because by them we live. We press our pleas because we must have them, or die. All faithful Christians attest to answered prayer, as well as countless people who have prayed in times of crisis. An evangelical Christian, George Mueller (1805-1898), probably best known as the "Father of Orphans", prayerfully met the needs of thousands of children. Mueller and his wife decided to depend on God alone to supply their needs - never again to approach people about them - and 68 years later Mueller had prayed in over seven and a half million dollars, and logged in his journal 50,000 specific answers to prayer - 5,000 were answered on the very day of their asking. Prayer is a mandated part of governmental affairs within a theocracy such as Islam, while voluntary prayer may play a part within governments which recognize separation of church and state. In contrast, refusal to acknowledge God is seen as practically conveying atheism, with prayer being excluded as part of atheistic systems such as Communism. Samuel Provoost (1742–1815), the newly appointed chaplain of the United States Senate and first Episcopal bishop of New York, performed “divine service” at St. Paul's Chapel on April 30, 1789, immediately following Washington's inauguration. In the aftermath of the Civil War and the assassination of Abraham Lincoln, the Rev. John G. Butler, pastor of Luther Place Memorial Church in Washington, D.C., and chaplain of both the U. S. House of Representatives (1865–1875) and the Senate (1886–1893), organized interfaith inaugural prayer meetings in the nation's capital commencing in 1869. These services continued well into the twentieth century. In America, prayer and worship services have regularly been part of Inauguration Day activities. Now therefore I do recommend and assign Thursday the 26th day of November next to be devoted by the People of these States to the service of that great and glorious Being, who is the beneficent Author of all the good that was, that is, or that will be--That we may then all unite in rendering unto him our sincere and humble thanks--for his kind care and protection of the People of this Country previous to their becoming a Nation--for the signal and manifold mercies, and the favorable interpositions of his Providence which we experienced in the course and conclusion of the late war--for the great degree of tranquility, union, and plenty, which we have since enjoyed--for the peaceable and rational manner, in which we have been enabled to establish constitutions of government for our safety and happiness, and particularly the national One now lately instituted--for the civil and religious liberty with which we are blessed; and the means we have of acquiring and diffusing useful knowledge; and in general for all the great and various favors which he hath been pleased to confer upon us. And also that we may then unite in most humbly offering our prayers and supplications to the great Lord and Ruler of Nations and beseech him to pardon our national and other transgressions--to enable us all, whether in public or private stations, to perform our several and relative duties properly and punctually--to render our national government a blessing to all the people, by constantly being a Government of wise, just, and constitutional laws, discreetly and faithfully executed and obeyed--to protect and guide all Sovereigns and Nations (especially such as have shown kindness onto us) and to bless them with good government, peace, and concord--To promote the knowledge and practice of true religion and virtue, and the increase of science among them and us--and generally to grant unto all Mankind such a degree of temporal prosperity as he alone knows to be best. Given under my hand at the City of New-York the third day of October in the year of our Lord 1789. Increase my faith in the sweet promises of the gospel; give me repentance from dead works; pardon my wanderings, and direct my thoughts unto thyself, the God of my salvation; teach me how to live in thy fear, labor in thy service, and ever to run in the ways of thy commandments; make me always watchful over my heart, that neither the terrors of conscience, the loathing of holy duties, the love of sin, nor an unwillingness to depart this life, may cast me into a spiritual slumber, but daily frame me more and more into the likeness of thy son Jesus Christ, that living in thy fear, and dying in thy favor, I may in thy appointed time attain the resurrection of the just unto eternal life bless my family, friends, and kindred. Almighty God, Who has given us this good land for our heritage; We humbly beseech Thee that we may always prove ourselves a people mindful of Thy favor and glad to do Thy will. Bless our land with honorable ministry, sound learning, and pure manners. Save us from violence, discord, and confusion, from pride and arrogance, and from every evil way. Defend our liberties, and fashion into one united people, the multitude brought hither out of many kindreds and tongues. Endow with Thy spirit of wisdom those whom in Thy name we entrust the authority of government, that there may be justice and peace at home, and that through obedience to Thy law, we may show forth Thy praise among the nations of the earth. In time of prosperity fill our hearts with thankfulness, and in the day of trouble, suffer not our trust in Thee to fail; all of which we ask through Jesus Christ our Lord. Amen. Fondly do we hope, fervently do we pray, that this mighty scourge of war may speedily pass away. Yet if God wills that it continues... until every drop of blood drawn with the lash shall be paid another drawn with the sword... so still it must be said that the judgments of the Lord are true and righteous altogether. With malice toward none, with charity for all, with firmness in the right as God gives us to see the right, let us finish the work we are in, to bind up the nation's wounds, to care for him who shall have borne the battle, and for his widow and for his orphans, to do all which may achieve and cherish a just and a lasting peace among ourselves and with all nations. Embrace these, Father, and receive them, Thy heroic servants, into Thy kingdom. And for us at home--fathers, mothers, children, wives, sisters, and brothers of brave men overseas, whose thoughts and prayers are ever with them--help us, Almighty God, to rededicate ourselves in renewed faith in Thee in this hour of great sacrifice... Give us strength, too--strength in our daily tasks, to redouble the contributions we make in the physical and the material support of our armed forces. With Thy blessing, we shall prevail over the unholy forces of our enemy. Help us to conquer the apostles of greed and racial arrogances. Lead us to the saving of our country, and with our sister nations into a world unity that will spell a sure peace--a peace invulnerable to the schemings of unworthy men. And a peace that will let all men live in freedom, reaping the just rewards of their honest toil. Let us therefore proclaim our gratitude to Providence for manifold blessings--let us be humbly thankful for inherited ideals--and let us resolve to share those blessings and those ideals with our fellow human beings throughout the world. On that day let us gather in sanctuaries dedicated to worship and in homes blessed by family affection to express our gratitude for the glorious gifts of God; and let us earnestly and humbly pray that He will continue to guide and sustain us in the great unfinished tasks of achieving peace, justice, and understanding among all men and nations and of ending misery and suffering wherever they exist. I would like to have my frequent prayer answered that God let my life be meaningful in the enhancement of His kingdom and that my life might be meaningful in the enhancement of the lives of my fellow human beings. I call upon all the people of our Nation to give thanks on that day for the blessings Almighty God has bestowed upon us, and to join the fervent prayer of George Washington who as President asked God to "impart all the blessings we possess, or ask for ourselves to the whole family of mankind. To preserve our blessed land we must look to God... It is time to realize that we need God more than He needs us... We also have His promise that we could take to heart with regard to our country, that "If my people, which are called by my name shall humble themselves, and pray and seek my face, and turn from their wicked ways; then I will hear from heaven and will forgive their sin, and will heal their land." Let us, young and old, join together, as did the First Continental Congress, in the first step, in humble heartfelt prayer. Let us do so for the love of God and His great goodness, in search of His guidance and the grace of repentance, in seeking His blessings, His peace, and the resting of His kind and holy hands on ourselves, our nation, our friends in the defense of freedom, and all mankind, now and always. The time has come to turn to God and reassert our trust in Him for the healing of America... Our country is in need of and ready for a spiritual renewal. Today, we utter no prayer more fervently than the ancient prayer for peace on Earth. If I had a prayer for you today, among those that have all been uttered, it is that one we're so familiar with: "The Lord bless you and keep you; the Lord make His face to shine upon you and be gracious unto you; the Lord lift up His countenance upon you and give you peace...." And God bless you all. My first act as President is a prayer. I ask you to bow your heads. Heavenly Father, we bow our heads and thank You for Your love. Accept our thanks for the peace that yields this day and the shared faith that makes its continuance likely. Make us strong to do Your work, willing to heed and hear Your will, and write on our hearts these words: "Use power to help people." For we are given power not to advance our own purposes, nor to make a great show in the world, nor a name. There is but one just use of power, and it is to serve people. Help us to remember it, Lord. The Lord our God be with us, as He was with our fathers; may He not leave us or forsake us; so that He may incline our hearts to Him, to walk in all His ways... that all peoples of the earth may know that the Lord is God; there is no other. In Hinduism, Prayer is an integral part of the daily living. Chanting of mantras is the most important form of prayer in Hinduism. Some devotees meditate chanting different names of the Gods. Prayer is also a vital part of Islam. As part of their faith, they are required to say five prayers at certain times of the day facing Mecca. Each prayer must be recited in Arabic. "And when you pray, do not be like the hypocrites, for they love to pray standing in the synagogues and on the street corners to be seen by men. I tell you the truth, they have received their reward in full." At the time, the religious authorities believed it was necessary to pray at specific times of the day, and would often make sure they were in large crowds of people when those times arose so that they could be seen and heard by all. Jesus did not approve of this. "And when you pray, do not keep on babbling like pagans, for they think they will be heard because of their many words. Do not be like them, for your Father knows what you need before you ask him." Pagan prayers at the time believed that there was power in continuous repetition of words, that if you said a word often enough, then you could eventually own that object or claim that power for yourself. Jesus condemned this. 2 Peter 2:15: "after my departure"
"I will make every effort even after my departure that you may always be able to remember these things" 2 Peter 1:15. This verse is read by some as scriptural evidence of the apostolic doctrine of the intercession of the saints after they have departed in sleep to be with the Lord. Roman Catholic commentators, Cornelius a Lapide and others, have connected the words “after my decease” with the verb “I will endeavour,” and have thus construed the exegetical meaning of the Apostle's words into an interpretation that makes them an argument for his continued watchfulness and superintendence over the development of the Church's doctrine even after his death. Others exegetically read it instead as Peter's promise while he is alive to "make every effort that you may always be able to remember these things even after my departure" (that is, so that they will not forget what he taught them concerning all things pertaining to life and godliness, 2 Peter 1:3-11.) It is thus read as an insistent parallel restatement of the immediately preceding verse, "I think it right, as long as I am in this body, to arouse you by way of reminder." One reading sees Peter determined to do this both before and after he dies, the other reading sees Peter, while he is alive, determined to make them remember even after he dies, "as long as I am in this body". "I will make every effort even after my departure that you may always be able to remember these things." "I will make every effort that you may always be able to remember these things even after my departure." See the Interlinear Bible link. Compare multiple versions of 2 Peter 1:15 and multiple commentaries. Controversy over teachings about the prayers of the saints on behalf of the living is primarily rooted in confusing the meanings of "intercession" and "mediation". Many modern dictionaries give the current meanings as synonymous, that the one is the other. Older usages of these terms show that they are not the same thing. To intercede is to speak on behalf of another, to defend their cause, and to seek for favor or forgiveness from an estranged or hostile party (see 2 Samuel 14). In some situations, the intercessor seeks the decision of a judge to render a favorable decision or verdict. An intercessor pleads the case, seeking a favorable judgment or at best a total dismissal of the charge brought against the accused by the plaintiff. A mediator arranges for a full reconciliation through resolution of the conflict by proposing a just reparation or settlement agreeable to both parties, without pronouncing judgment in the matter, and without recourse to a judge. The case has been "settled out of court". See Matthew 5:25-26; Luke 12:57-59. In addition to differences in variant Christian understandings and misunderstandings of intercession and mediation, there is also a difference in variant Christian understandings of the meaning of the word "prayer", which anciently meant simply "petition". Petitions to the governing authorities of a nation or people were usually introduced with the phrase, "we pray you to [do this or that]". Attorneys for the prosecution and the defense even today frequently address the court (the bar), in words spoken or written, with the word "pray": for example, "Your Honor, the defense prays the court to ...". Formal petitions by governors to the king or queen anciently addressed that sovereign lord or lady first with a preamble acknowledgement of their authority, followed by the words: "The people pray Your Majesty [to do this or that, or to cause to cease this or that] for the benefit of the realm". In ordinary society individuals often begged other individuals for a favor or benefit by praying them to consider some factor in their favor or some distress that needs to be addressed; for example a mother praying her husband, the father of their daughter or son, to forgive what the son or daughter has done. Those who were not members of the court of the emperor or sovereign, nor members of the legislative body of the nation, but who wished to appeal for some relief or benefit for themselves or on behalf of another, normally petitioned a member of the court in favor with the ruler or governing council to favorably represent them and to personally present the petition or prayer on their behalf for due consideration, and request the sovereign or ruling body to render a favorable decision. This is the proper form. An individual with no official standing in the administration of the nation who entered and approached to represent himself or herself as having a legitimate petition would be held in contempt as presumptuous and bold, as having no respect for the authority of the court by going over their heads. In the military they would be guilty of circumventing the "appropriate chain of command". In none of these instances is divine worship meant by a prayer of petition to authority. When the word prayer is narrowly defined and understood to mean only speaking to God, then its fuller meaning has been stripped away and its language has been abused and violated. Most often this occurs unconsciously, because of how the word is normally used in American culture. Many are surprised to discover its broader legitimate meaning as found in authoritative dictionaries of the English language. Reformation teaching: restricting the meaning of "pray"
The Protestant Reformers in their struggle against the Catholic Church sought to promote pure piety and worship of God by eliminating the practice of prayers for the intercession of the saints in God's court of heaven by strictly defining prayer as meaning only petition to God. From this came the understanding that prayers to the saints to pray for us to God is a form of pagan idolatry, with the worship of saints taking the place of the worship of God (Colossians 2;18-19). They represented the intercession of the saints as the placing of a barrier between the Christian and the Savior, and as a disguised form of the pagan doctrine of the lesser and greater ascending levels of gods and goddesses who alone had right of access to the throne of God the Unknown. The Reformers sought to emphasize the sovereign dignity of each individual Christian as having a right to bypass the saints with direct access to the Majesty on High through Jesus Christ alone, as having the right to approach "boldly" the throne of grace without any necessity for intercession by any other being in heaven or on earth to support their prayers. (Hebrews 10:19; Ephesians 3:12; 1 John 4:17). In the civil sphere of human activity the Reformers also objected to the distance that autocratic rulers maintained between themselves and their subjects by the bureaucratic structure of levels of administrators and ministers, governors and officials, officers and clerks, often perceived as interfering and obstructing the petitions of the people and as refusing to reasonably submit them to the ruler. However, many regarded the Protestant interpretation of scripture in support of the dignity of individual human autonomy under Christ before God's Throne as an expression of philosophical anarchy, and as subversively dangerous to the stability of Christian society; and also as being at its core strongly opposed to the virtue of humility (Romans 13:1-7). See Individualism. The Reformers were regarded as confusing "arrogance" and "insulting effrontery" with godly "confidence", and as regarding arrogant behavior on behalf of the Gospel as confident assurance in the face of ungodly opposition (Acts 4:13). The Catholic Holy Roman Emperor Charles V saw the Reformation movement as subversive to his reign, and an attack on Christianity through rejection of the established authority of the Catholic Church, and on this basis persecuted Protestants as fomenters of insurrection and as anarchists. Anarchy as a political philosophy is based on the individualist position that no human authority over individuals is ever legitimate and must be either passively disregarded (ignored, the KJV "despised") or actively resisted and overthrown. Thus no visible ruling authority or government on earth has been authorized or established by God. The Reformers saw proof of this in the suppression of the Reformation by Sovereigns, Popes and Patriarchs, who saw the leaders of the Reformation as rebelliously resisting what God has appointed (Romans 13:1-4). The Reformation saw the established authorities of Church and State in their day as entrenched and stubborn ungodly evils to be rejected and finally eliminated before the Kingdom of God could be established on earth. They represented the corruption and abuse of authority by particular self-serving leaders in the Church in violation of the doctrine of the Church as evident proof that the whole of the doctrine of the Church itself was corrupted by the Devil. By the same reasoning the betrayal of Judas Iscariot, one of the Twelve, is representative of Christ's teaching. But even in our own day the corrupt practices of many politicians is not proof that the Constitution is the primary foundation of their corrupt betrayal of the ideals of the American Republic. The Reformers condemned those who said the emperor, the pope and the Church should be obeyed in accordance with what Paul had written in Romans 13:1-4. The Prophet Jeremiah was condemned by Judean false prophets and influential politicians as a traitor for declaring God's command to submit to the ungodly pagan rule of Nebuchadnezzar of Babylon (Jeremiah 11:21Jeremiah 29:27 and Jeremiah 38:4), but that is what God had commanded. During the original Communist Revolution in the early 20th century, revolutionary elements were called Anarchists. The anarchist position is represented today in the United States by the Libertarian Party whose members use much milder methods of political persuasion, and in every election for president the Libertarian Party presents a Libertarian candidate. Jesus told his followers to obey those corrupt leaders of the Jewish faith who represented Moses, but not to do what they do. (Matthew 23:2-3). As applied in principle to the leadership of the Catholic Church in the sixteenth century, the Protestant Reformers in conscience and in full accordance with their interpretation of the Bible found this obedience impossible, because of what they saw as irreparable evils and pagan influences entrenched within the doctrines of Catholicism. The command of Paul in Romans 13:1-4 and of Peter in 1 Peter 2:13-17 and of Hebrews 13:17 when applied with regard to the established authority of the Holy Roman Emperor, of the Pope and of the Catholic Sovereigns of Europe, was for the Reformers equally abhorrent and impossible in conscience for them to obey, even if it was in the Bible. They had reached the conclusion that the Holy Spirit was not guiding the Catholic Church into all truth, but had departed from her, and that Jesus Himself had not remained with her, but that Satan was ruling the Church instead. This is also the fundamental claim of The Church of Jesus Christ of Latter-Day Saints. On this basis many Orthodox and Catholic Christians depart and join Protestant churches. Catholic and Orthodox apologists respond that this implies that Jesus broke his promises in John 14:15-17, 25-26; 15:26; 16:12-13; 17:9-11; Matthew 16:18-19; 28:19-20; and they point to Jesus' word about the church in Matthew 18:17-20 as being always true and reliable, and to the fact that Paul testified to Timothy that the Church is the "pillar and ground of truth" and to the Ephesians that the wisdom of God is revealed even to the powers in heaven through the Church (1 Timothy 3:15 and Ephesians 3:10). On this basis many Protestant Christians depart from their churches and become Catholic and Orthodox. As applied to both sides of the controversy see the counsel of Gamaliel in Acts 5:38-39 and the word of the angel in Revelation 22:10-11. See especially 2 Timothy 2:23-26. These verses express the guiding principle of Ecumenism. Generally, abuse of language by changing or narrowing the meanings of key words in the culture of a whole people or within a particular subculture of the population is a strategy of cults and anti-Christian interests as a way to promote their ideas. George Orwell illustrated this in his novel 1984. This has more recently been seen in attempts to redefine the meanings of marriage and gender, and the promotion of murder as compassionate medical care and as preventive medicine. See Eugenics and Planned Parenthood. The Protestant Evangelical and Fundamentalist churches have redefined the word "prayer" to mean only petition to God so that any kind of prayer addressed to any other person on earth or in heaven is a sin of idolatry offensive to God. But they do not hesitate to ask (request, petition) the police and fire rescue teams for help. They do not hesitate to ask (request, petition) their pastors and prayer groups and friends for help to join them in prayer and to pray for them and intercede with them to God on behalf of those who have need of prayer. Orthodox and Catholic Christians claim that this is all that they mean by asking for the intercession of the saints in heaven for their help on behalf of themselves and others, because they are alive and their power and authority comes from God alone who has appointed them as protectors and helpers of souls for their salvation and for his glory alone. They claim that in honoring the saints alive in heaven they are honoring God, "but it is the same God which worketh all in all" 1 Corinthians 12:6, "For he is not a God of the dead, but of the living: for all live unto him" Luke 20:38. The Christian Fundamentalist response is that the saints are dead and can do nothing, and only God can answer prayer. Compare Matthew 17:3; 22:32. See also Communion of Saints: Dead or Alive in Christ? It is a basic fact of human nature that if any practice, religious or secular, pagan or Christian, Orthodox, Catholic, Protestant, Fundamentalist, Independent, Non-denominational, Humanist, is represented or misrepresented as an evil, then those who believe what they are told about that practice, and who wish to do good, will sincerely avoid that practice as being a sin, a thing harmful to individuals and to society as a whole, and will oppose it, either publicly in speeches, sermons, and public media, or privately in their conversations with each other. False versions of the Bible (bibleprobe.com). The Revised New Testament and History of Revision (1881) "Defects of the King James Version" (bible-researcher.com) Isaac H. Hall. This page was last modified on 30 March 2019, at 19:01. This page has been accessed 100,061 times.